If you have been charged or arrested with a DUI (driving under the influence, drunk driving) or any other alcohol-related driving offense you need to contact an attorney immediately to properly protect your rights. The Law Offices of David M. Boertje provides clients charged with DUI's throughout San Diego County and surrounding Southern California communities with unparalleled service and superior results when facing misdemeanor DUI or felony DUI and drunk driving charges. Mr. Boertje is an experienced criminal defense attorney who has dedicated his professional life to defending those accused of DUI's and other crimes. Our office is dedicated to providing aggressive legal representation on all DUI cases in order to obtain the best possible outcome for all of our clients. Our office is fearless when it comes to defending your case. We will conduct a complete investigation into the circumstances surrounding your case. We will develop creative defenses and uncover any evidence that can help us with your case. We draft and argue discovery motions, evidence suppression motions, motions to disclose police officers' backgrounds, serve subpoenas, gather evidence, and secure witnesses. We will aggressively negotiate your case with the prosecutors. In short, we will do everything and anything possible to obtain a successful outcome for your case. Contact our office for a free consultation. 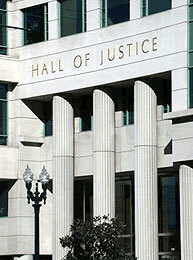 Our San Diego DUI Attorneys will be happy to discuss the specific facts of your case with you. Our legal fees are affordable. In most cases you will be charged a flat fee which will include gathering all police reports, evidence, reviewing your case, filing any necessary pretrial motions, all negotiations with the prosecutor, and all court hearings. As many cases resolve before ever reaching the jury trial stage, we do not charge you upfront for a jury trial as many other DUI firms will. You will only be charged for a jury trial if your case goes to trial. This pay structure helps keep your costs down. Our office accepts all major credit cards and also offers flexible payment plans. We have offices in San Diego and Carlsbad, and handle cases throughout all of San Diego County. For further information about your specific DUI case, please contact our office for a FREE CONSULTATION with an experienced San Diego DUI Attorney.